Here is a classic airplane for all you history buff out there. 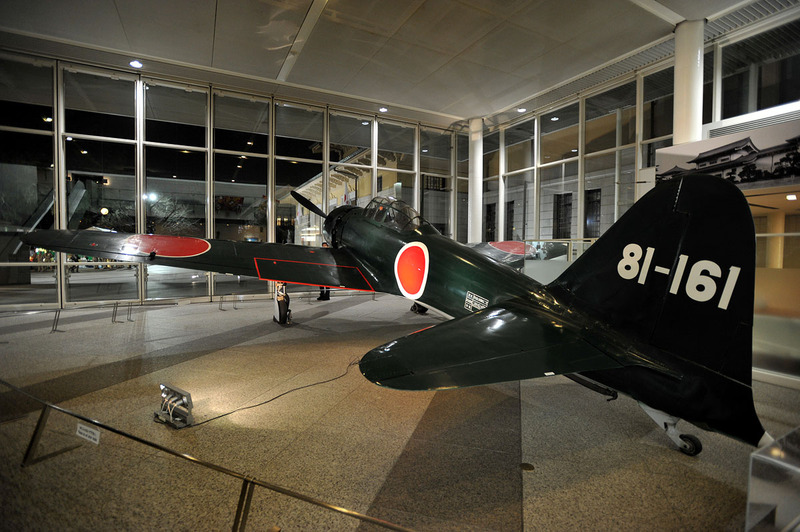 The Mitsubishi A6M Zero, which when it was rolled into production was one of the most advanced fighters in the world and certainly in the Far East theater of World War II. I won’t bore you too much about the legendary status of this airplane (you can read much more on Wikipedia for example), but it’s rather cool to see it in real life. 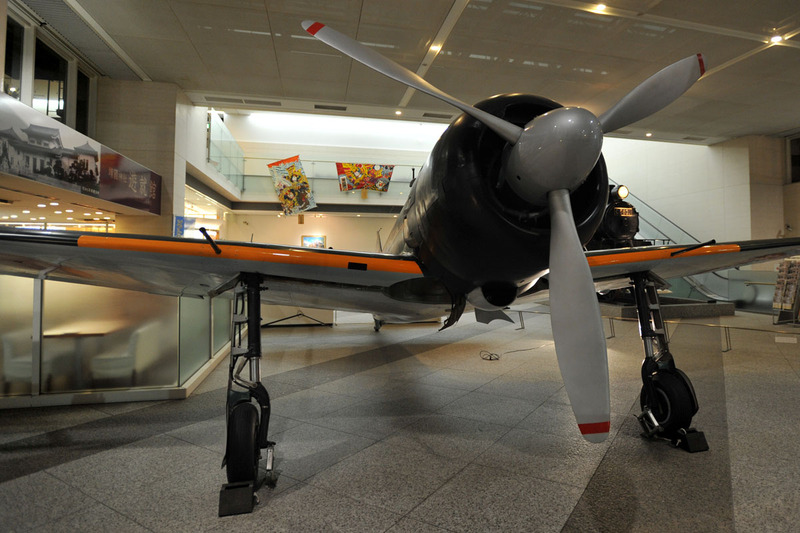 This one is exhibited at the Yasukuni Shrine Museum, and it’s conveniently located in the lobby of the museum so even travelers on a budget can afford to see this one! 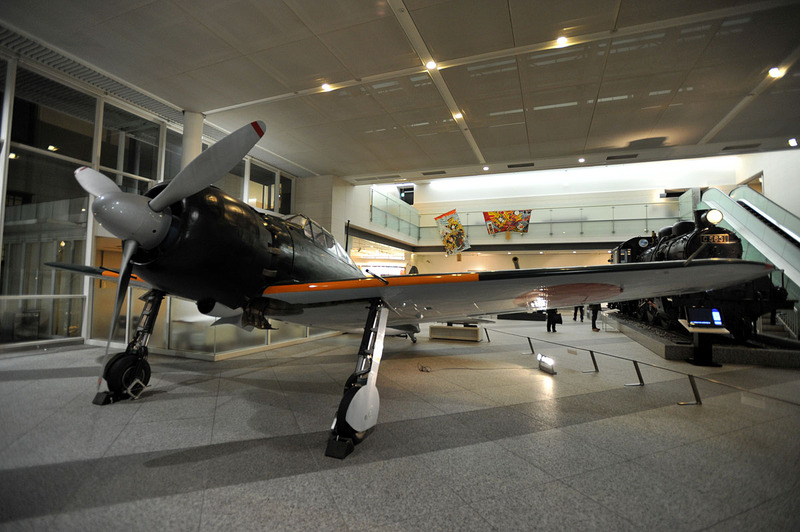 There is another Zero on display in Tokyo that I know, the one in the science museum in Ueno. That Zero can be viewed from above and has a rather more interesting history, it was apparently plucked from ocean floor and restored. 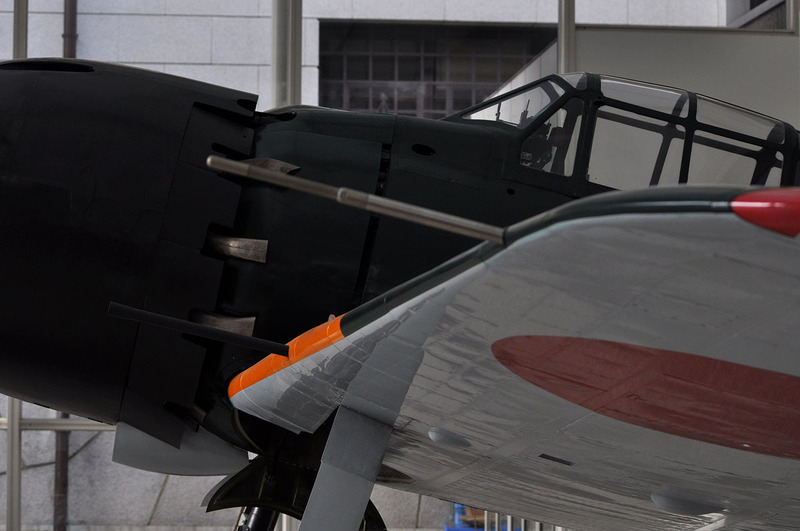 I took these photos on New Year’s eve while visiting Yasukuni Shrine. I was lucky to get in right before the opening so there were very few people (mostly staff) which made it possible to get these photos. 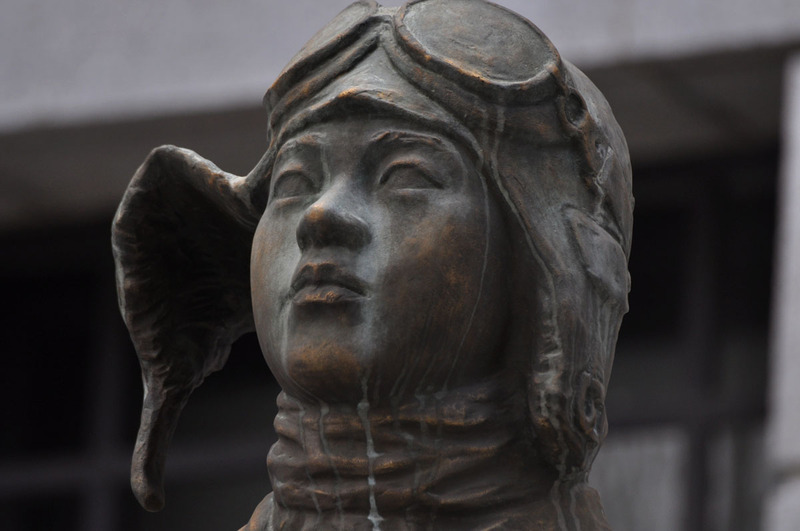 I’m also posting some close ups I took last year, and a few photos of the statue dedicated to the pilots who fought World War II in these and other planes of the Japanese Navy and Army. As much as I hate wars, it still looks pretty darn cool. A must see if you have time to spare in Tokyo! Awesomely classic airplane and I liked the shots of the statue too. “Wind-hero” huh? Thanks for the comment Christoffer! Yes, it’s a beauty. I never really got the meaning of those kanji, “風雄”, but I guess the meaning is just what you say, “Wind Hero”. I think that Germany is probably the country most sensitive to military history in the world. You should see what the Americans, the Vietnamese, the Russians and the French do! (^-^) The problem with military history is that the subject tends to get hijacked by interest groups. And with the ongoing wars around the world, I don’t think it’s going to get any better soon! It is hard to separate the individual heroism of soldiers from the overall purpose of their war, especially when they are not ‘your’ soldiers. Wise words, as usual from pk1154! That is a great movie, I have to watch it once again some day soon. I also have to reread Heller’s Catch 22 some time. So many musts! Hope your nephews get absolutely no chances to be heroes! Stay safe. Jason loves the Zero – I’ll have to show him these photos. We saw one during one of our trips to Japan. 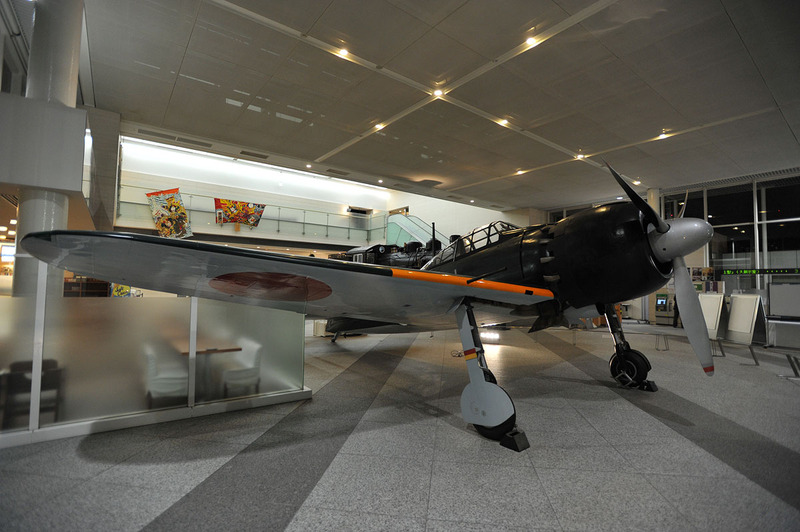 I think it was in the museum that has Hachiko. Or the science museum. That statue looks nice too, standing with such pride! Sounds great! I’d love to see them. Do you keep them around? Cool! You really need to start blogging soon! By the way, vintage models are going to become valuable some day, so hang on to them! Thanks Wayne! I love airplanes too so I’ll keep you posted whenever I find something interesting to share! *Sorry for the late reply, I’ve been swamped with work and other communications, so much that I haven’t had time to reply to most comments on the blog. I’ll work harder from now on! A late post… Late than never! 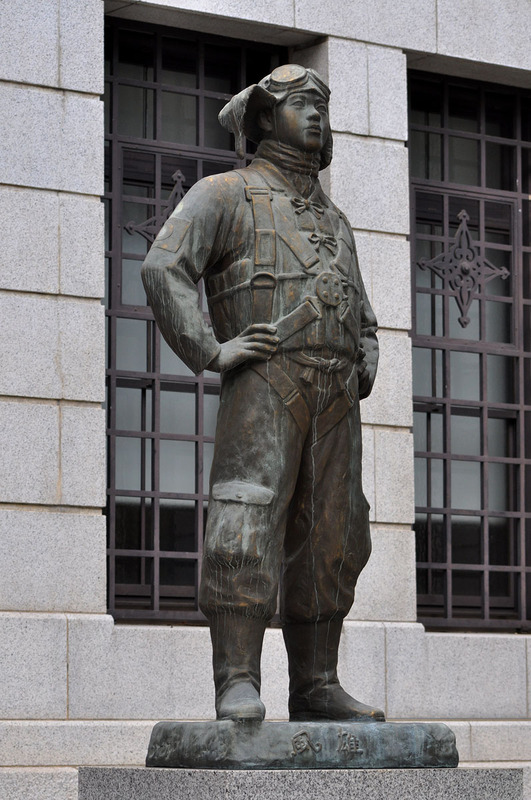 The loose translation of the statue’s commemoration is to pay tribute to “those who perished in special attacks,” meaning yes the kamikaze. Also, when the the first prototype Zero was produced in 1939, it had to be hauled 29 miles by OXCART to the nearest airport. Oxcart?! I didn’t know that! How fantastic. I was there yesterday by the way, the old Zero looked better than ever!